When I try to restore my PC running on Windows 7, I get a message ‘Unable to restore as there is no restore points created in the system’. 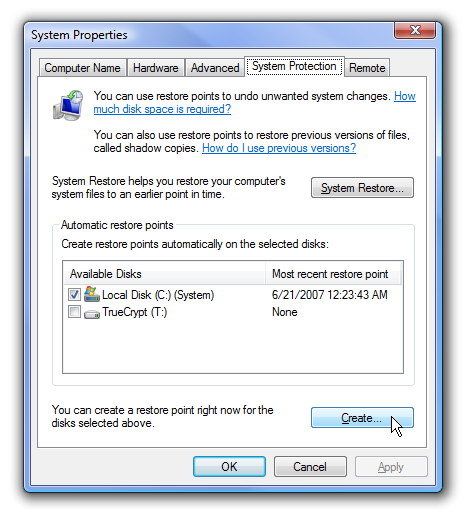 How can I create restore points on Windows 7? 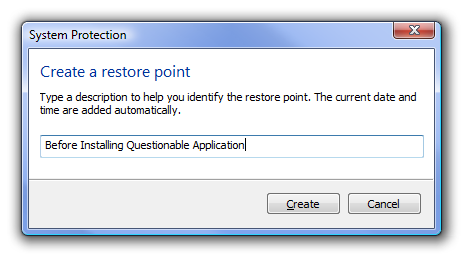 For creating restore points, you should first of all open ‘System’ option by performing following steps consecutively. You can then view ‘System protection’ option on the left pane of the window. Click on that option and type password or give confirmation into the relevant fields, if prompted. Then, you should click on the ‘System Protection’ tab to view the ‘Create’ option. ‘System Protection’ dialog box will appear on your screen at that moment. You should type a description on it and click on the ‘Create’ option to finish the process for creating restore points. Finally, you should try to restore your PC again to see whether there is any issue in restoring the same. Follow these steps to restore points on windows 7.
open Start button and right-click on Computer. Hit on System Protection at left pane and click on Create. Now type Description on dialog box and hit create. Now points will be restored for you. Follow the procedure to create a Restore point. In the new Window, tap the " System Protection " Tab to go to system restore section. Name this Restore point whatever you like . You Restore will complete then. * Open Start button and right-click on Computer. * Now click on Properties. * Click on System Protection at left pane and click on Create. * Now you can type any name or description on then next dialog box and hit create. Now a new restore point has been created for you. You can create the restore the restore point by following steps. 5. Type name of the restoring point. 1)GOTO My Computer and do Right Click. 3)On the left side Click on on System Protection. 4)The System Properties dialog screen opens up and click on Create. 5)Type in a description for the restore point which will help you remember the point at which is was created. 6)The time it takes to create the restore point will depend on the amount of data, computer speed etc. 7)At last will show the message the restore point was successfully created. 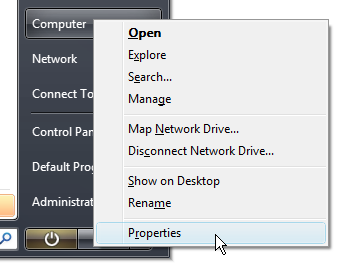 1.Open System by clicking the Start button , right-clicking Computer, and then clicking Properties. 2.In the left pane, click System protection. If you're prompted for an administrator password or confirmation, type the password or provide confirmation. 3.Click the System Protection tab, and then click Create. Then click the System and click the System Protection. it will ask you to create a restore point description for the restore. To create restore points on Windows 7 we should have to follow these steps:-1.Click on Start tap.2.Then click on "Control panel" option.3. After that Select system option then system protection.4.Then at the end of the screen on the right hand side, create and click it.5. Then it will ask to create a restore point for restoring the points in Windows 7. At bottom of screen last button on right says create. Click it and it will ask you to create a restore point description for the restore. And i hope this helps you. Restore Point - A restore point is a representation of a stored state of your computer's system files. Click on the System Protection . System Properties dialog screen opens up .